With only a limited amount of time in Japan, we had to choose carefully where we wanted to visit outside of Tokyo. 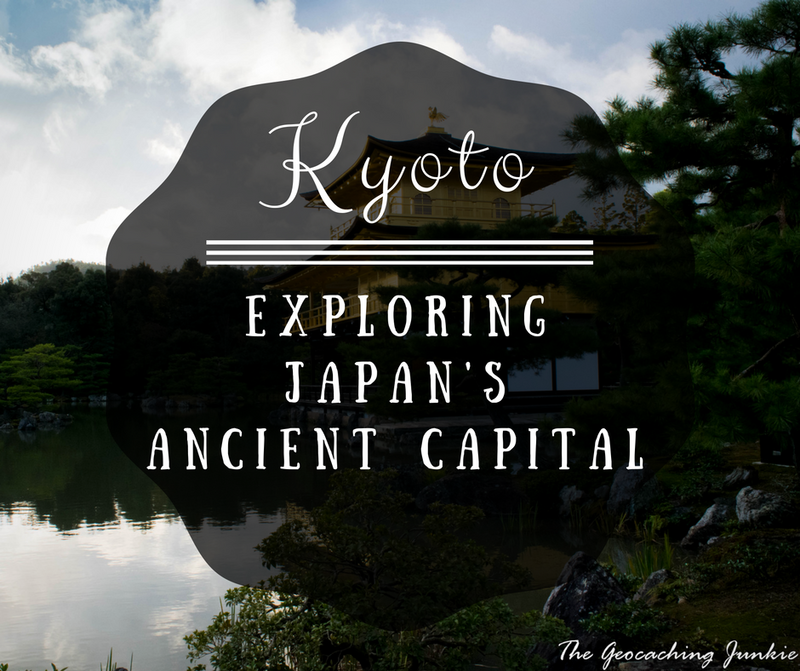 Since Nara was a must-do, we decided to base ourselves in Kyoto for two nights. 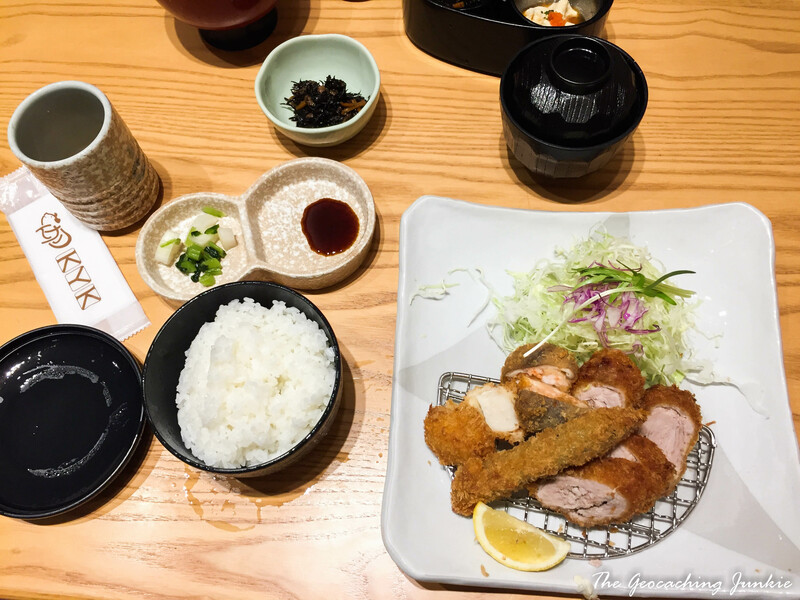 The cost of our 7-day Japan Rail Passes (¥29,110) was almost equal to the cost of a return ticket to Kyoto on the Shinkansen bullet train, so given the number of other train journeys we took over the week, we definitely got our money’s worth. 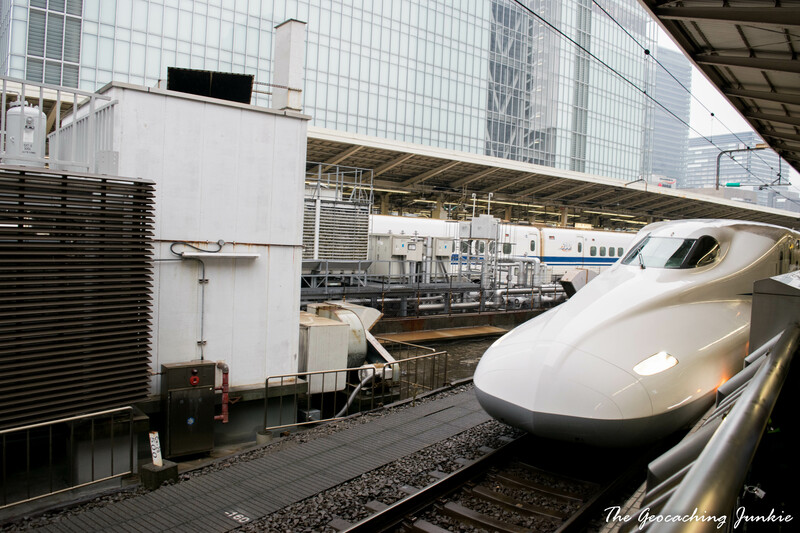 The English name ‘bullet train’ is a direct translation of the Japanese dangan ressha, which was the nickname for the high speed train project in the 1930s. The trains are said to resemble bullets and, of course, they travel at high speeds. A top speed of 320kmph to be exact, which is 20kmph more than the German ICE trains, which were previously the fastest trains I had been on. 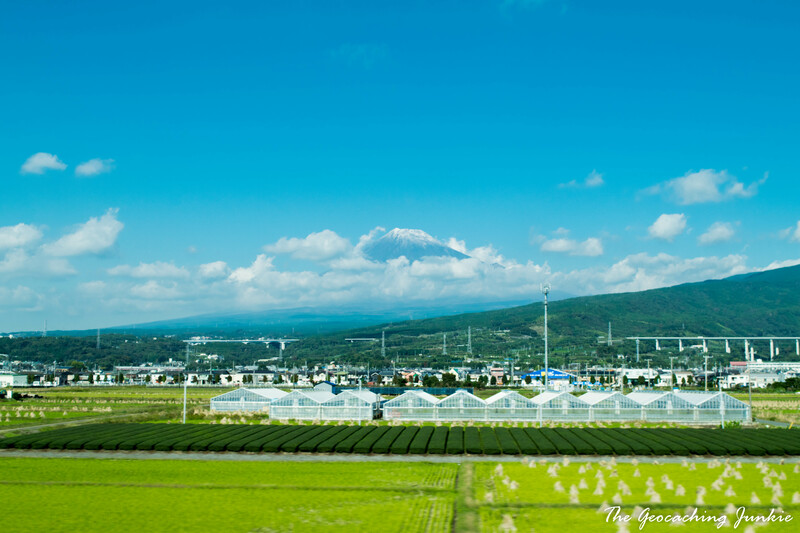 Despite the speed, travelling on the Shinkansen is very comfortable. 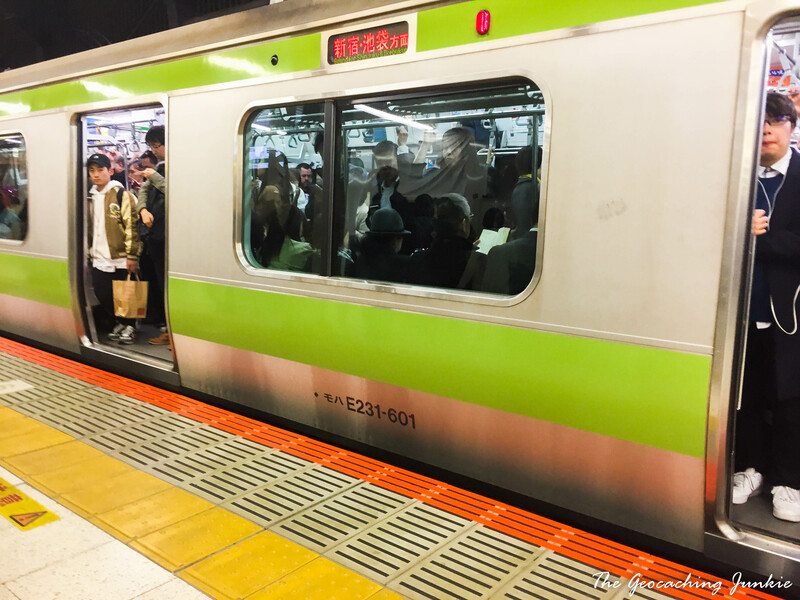 We left a misty and damp Tokyo to travel the 2 hours and 20 minutes to Kyoto in the middle of the morning rush hour – Shinjuku Station at 9am on a Tuesday is an experience in and of itself. The station was entered in to the Guinness World Record Book in 2011 as the busiest in the world, with an average of 3.64 million people using it per day. In fact, Japan has 45 of the 51 busiest train stations in the world, with quite a few of them located in Tokyo. But I digress. Unfortunately, the iconic image of Mount Fuji was hidden in a shroud of mist and fog so we missed out on our way to Kyoto. We arrived at the central station and upon exiting, were greeted by blue skies and sunshine. Since there are not many JR lines in Kyoto, we didn’t get much use of our Rail Passes (apart from the trips to Nara and Inari), so we invested in the 2-day Bus and Subway Pass (¥2,000 per adult). 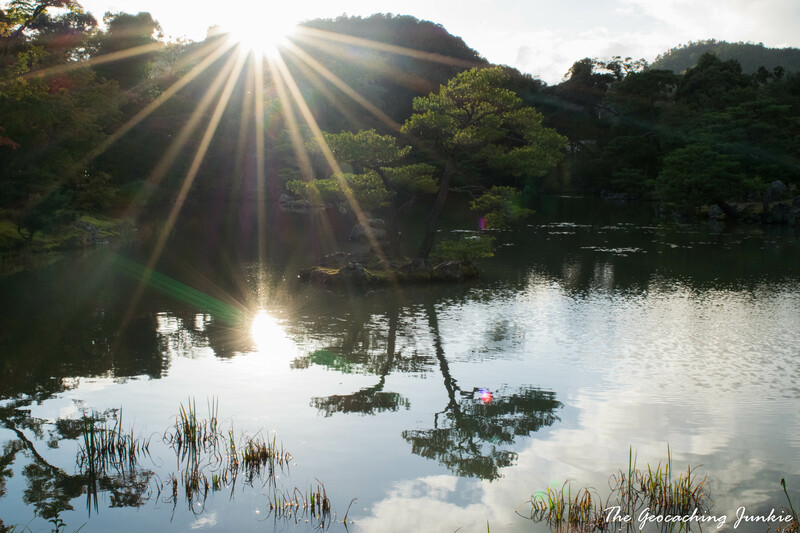 Wanting to make the most of the daylight hours we had left, we headed straight to our hotel, dropped our luggage and got the 205 bus from the central station to Kinkaku-ji. 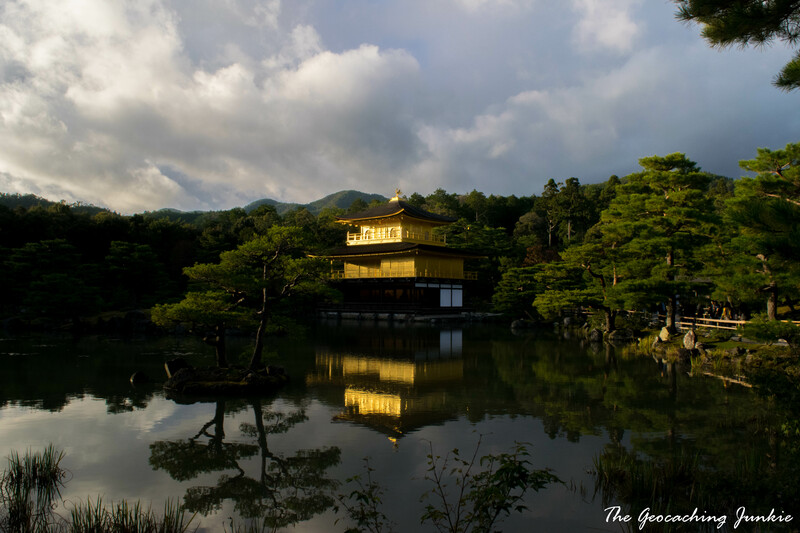 There is an entrance fee of ¥400 at Kinkaku-ji but it’s definitely worth the money. 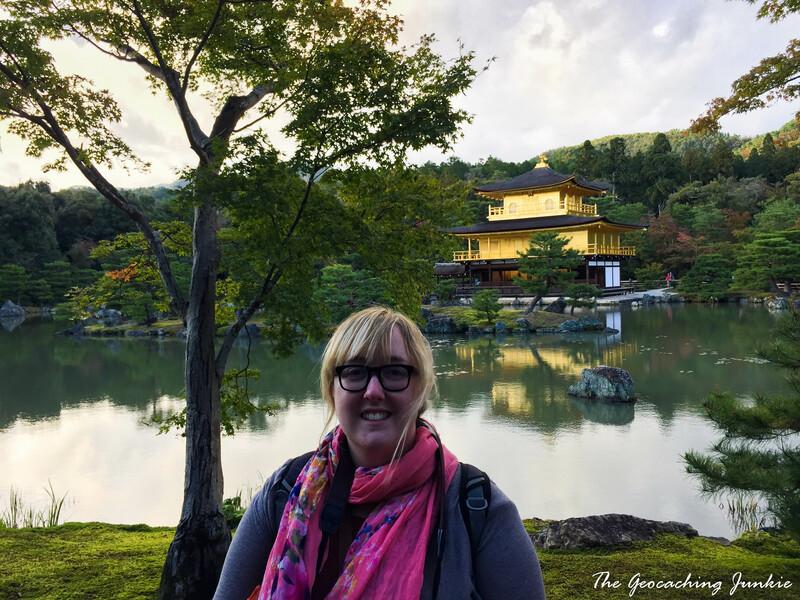 As we turned the corner and got our first glimpse of the golden temple glistening in the afternoon sunlight, we had another one of those ‘wow’ moments. The original structure was completed in 1397 but the current version dates from 1955. 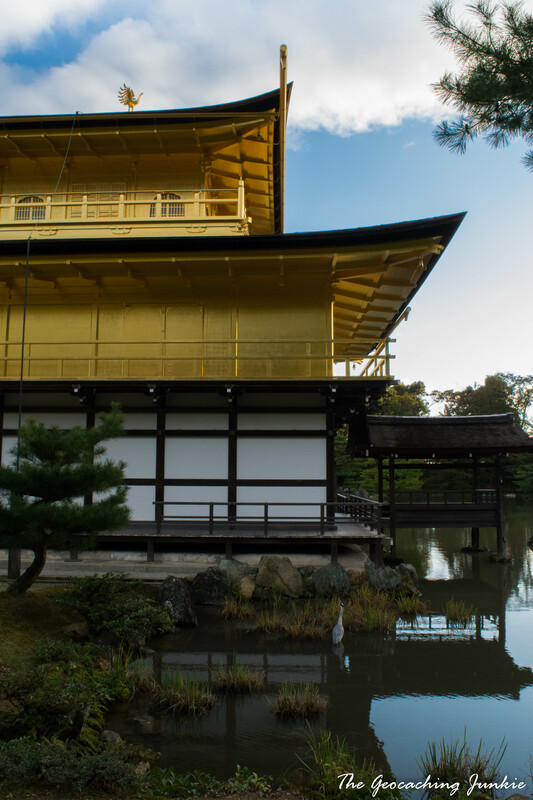 The top two storeys are entirely covered in pure gold leaf, giving the temple its name, the Golden Pavilion. The above photo was taken from the optimal spot to capture the temple, so it was thronged with visitors trying to get the best postcard perfect image. After breaking away from the swarm of smartphone photographers, we made our way around the Zen garden. 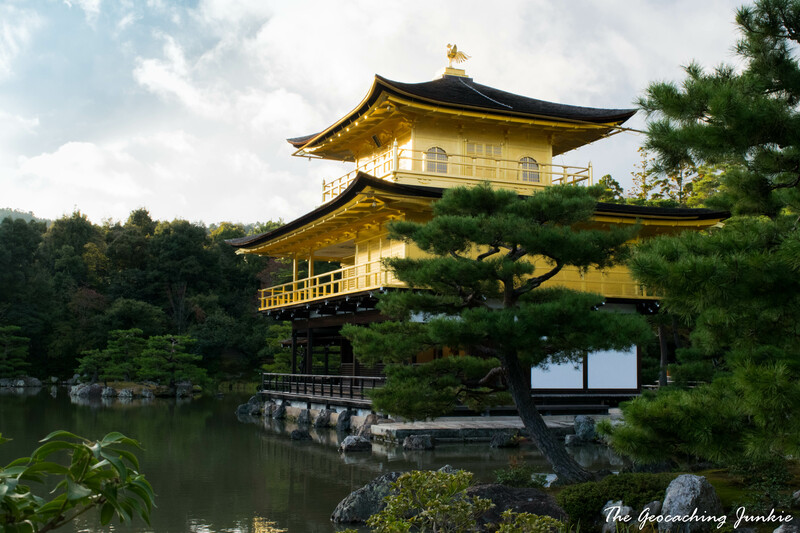 The Zen Buddhist Temple is designated as a National Special Historic Site and is one of the most popular tourist attractions in Japan. 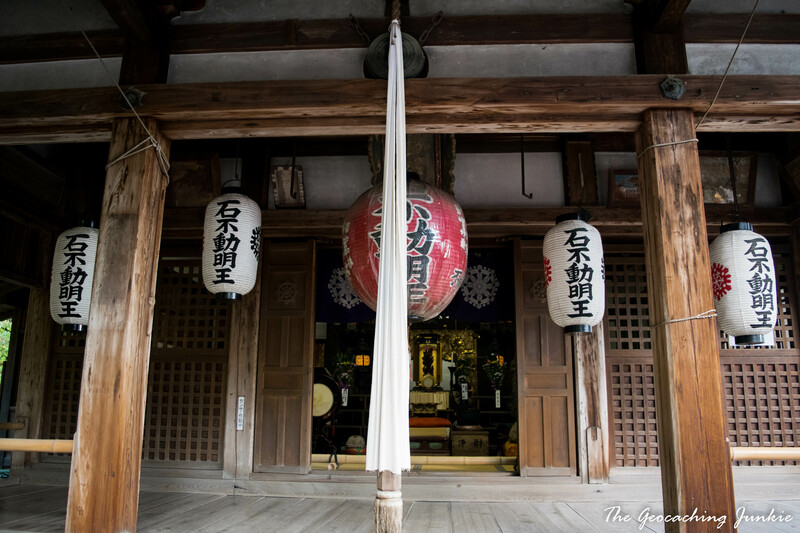 It has become a symbol of the city of Kyoto. 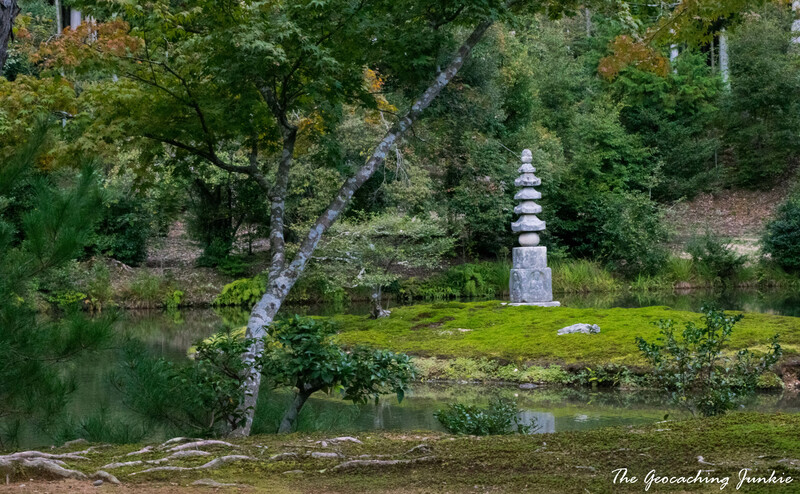 The Zen garden surrounding the temple is an example of Japanese garden design from the Muromachi Period. A series of ponds, islands and minimalistic landscaping characterises the vast space and there really is something zen-like about walking through. Before leaving, I bought some incense to place in the burner. 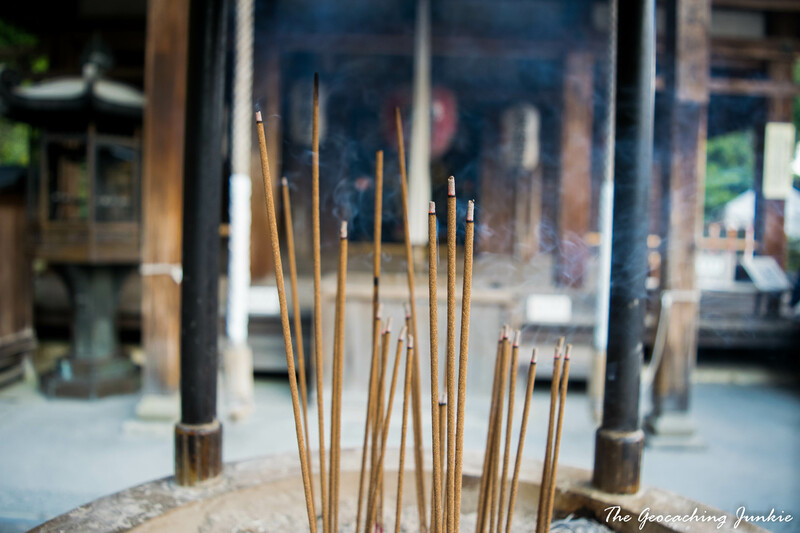 The incense is lit and then extinguished by waving your hand rather than blowing on it. It is believed to have healing powers so once it’s placed in the burner, the smoke should be fanned towards any part of your body that might be inflicted with pain or injury. 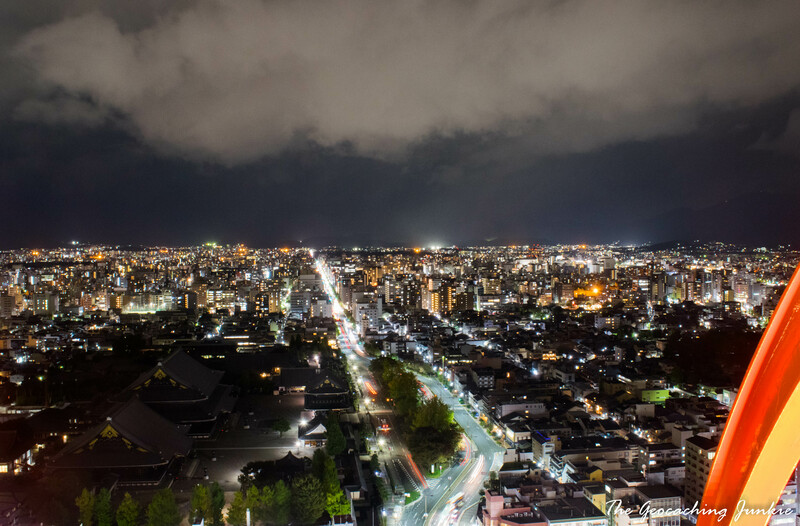 After enjoying a delicious meal of Katsu, we decided to make the most of the evening and take in the view from the top of the Kyoto Tower. 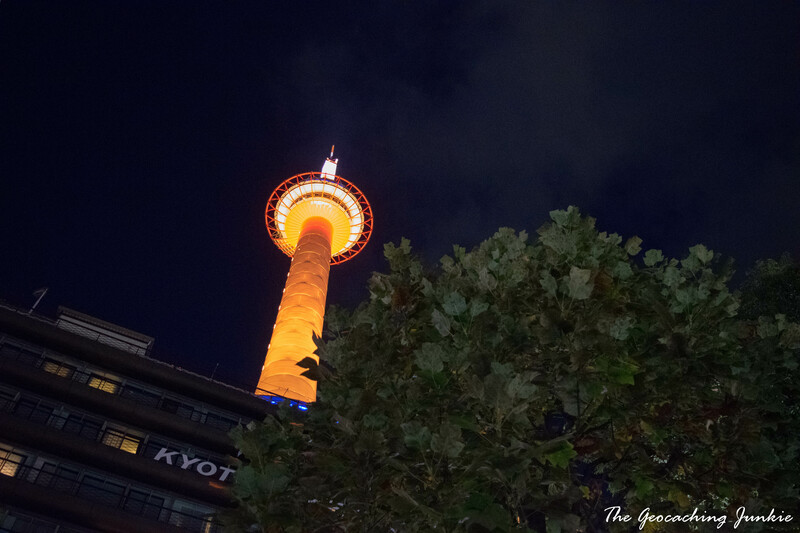 At 131 metres tall, the tower is the highest structure in Kyoto. With all the beautiful old temple and shrine buildings in Kyoto, the rocket-like tower is a bit of a blot on the landscape, but it redeems itself somewhat at night when it’s illuminated. Depending on when you go, the tower is lit up in different colours, representing various causes. The observation deck is located at 100 metres and offers great panoramic views of the city. When buying our tickets on the ground floor (¥770), we were warned that there were throngs of schoolchildren ascending at the same time, just in case we wanted to change our minds. We ploughed ahead anyway and some of the kids had great fun testing out their limited English skills on us – mainly with ‘hello’, ‘thank you’ and ‘goodbye’! 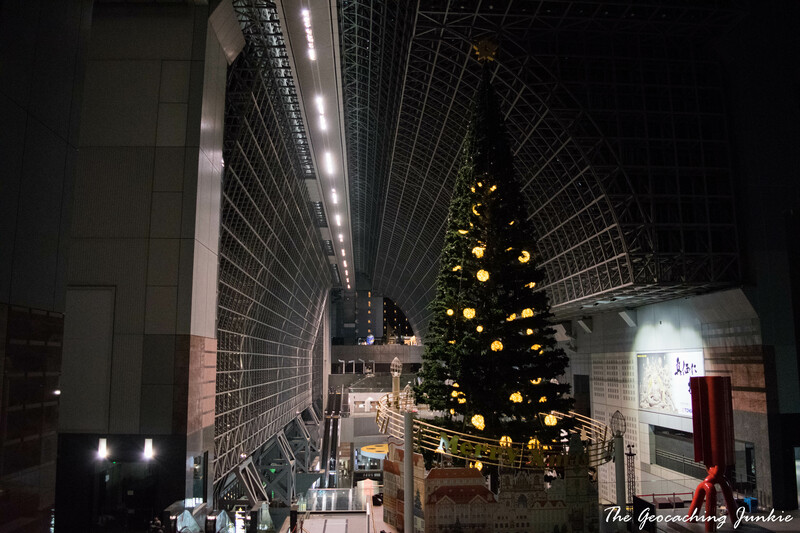 Kyoto Station certainly has a lot going on. 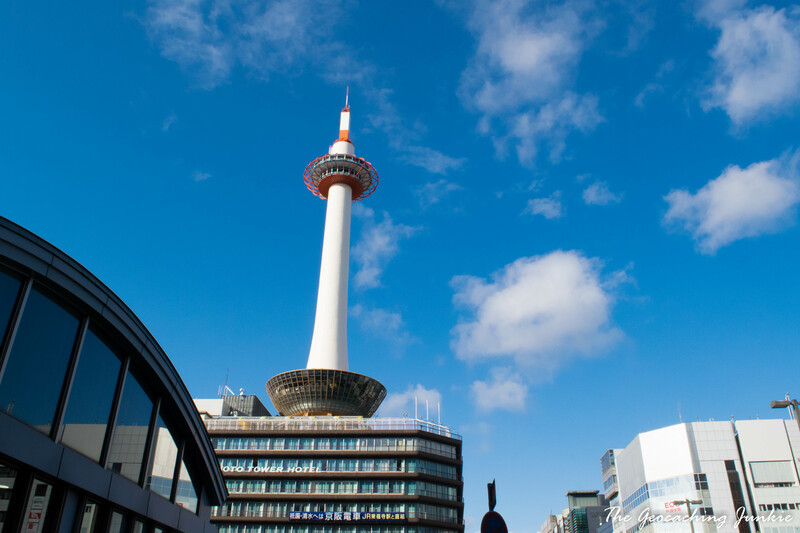 There are two shopping malls – Porta and The Cube – as well as the Isetan Department Store. There is also a wide variety of places to eat and drink. Its hidden gem though, is the rooftop ‘sky’ garden. I only discovered the garden because of the highly favourite geocache located there. The garden is open daily from 6am until 11pm, and is reached by a seemingly endless series of escalators and one staircase, until you reach a height of 15 floors. 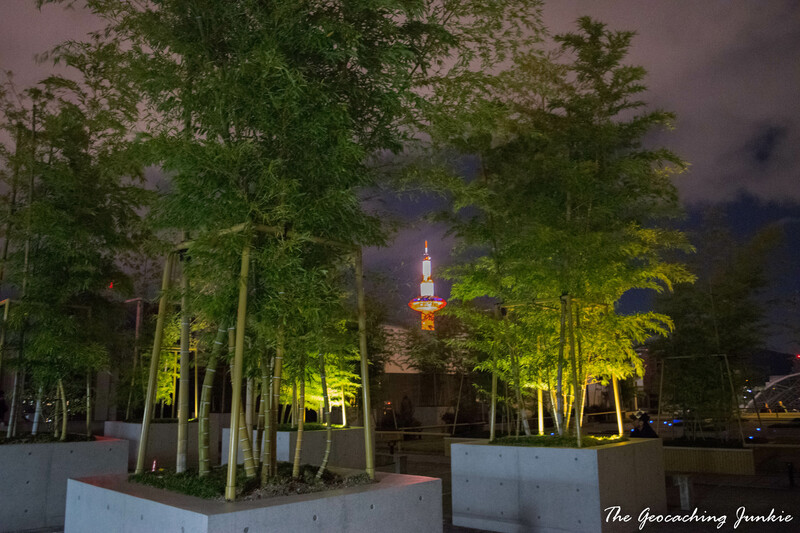 There are a series of tinted windows surrounding the garden but the views are still pretty great, particularly the view of Kyoto Tower, located just across the road from the station. There weren’t many visitors at the time we went and the garden is not very well lit, so we were lucky to find the cache as quickly as we did in a dark corner. 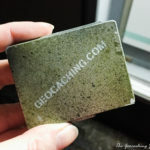 On day two in Kyoto, after we spent the morning in Nara and the afternoon at Fushimi Inari, we arrived back at Kyoto Station and decided to have a look for another highly favourited cache. 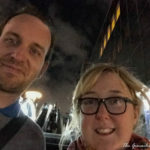 We attempted to navigate our way through the veritable maze of shops and restaurants underneath the train station to get to GZ but we failed miserably and had to go outside and walk around the perimeter. We eventually arrived at GZ: an Irish pub called Man in the Moon – an unusual name for an Irish pub but a refreshing change from the run-of-the-mill Dubliner or Shamrock. The pub is tiny so we were asked if we didn’t mind sharing a table. We sat with a lovely local man who was 81 years old and spoke quite basic English, though he didn’t let that hold him back from chatting with us. He never asked why I had made a beeline for the shelf of books behind him and was stamping a piece of paper inside it! 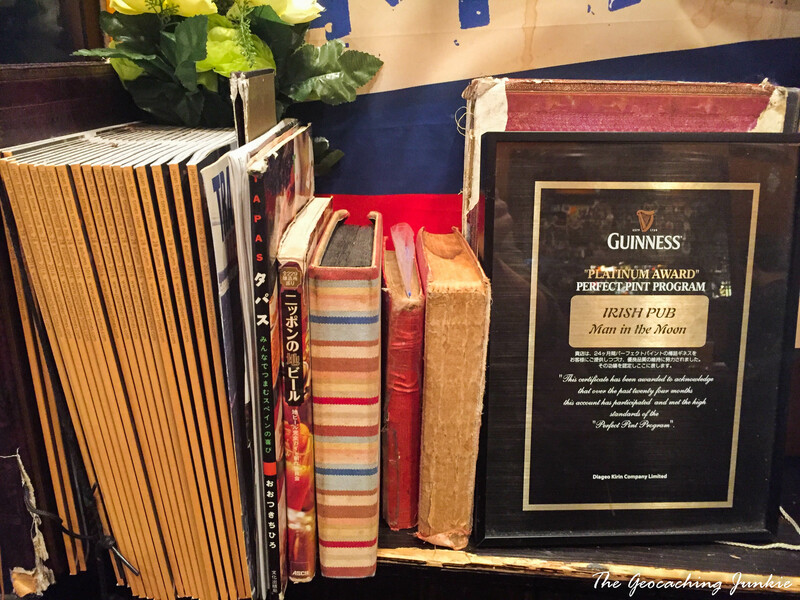 A geocache inside an Irish pub is definitely a first for me – I loved it! If you’re wondering why we weren’t drinking Guinness – we rarely drink Guinness at all so we certainly weren’t going to drink it over 9,000 km from home! 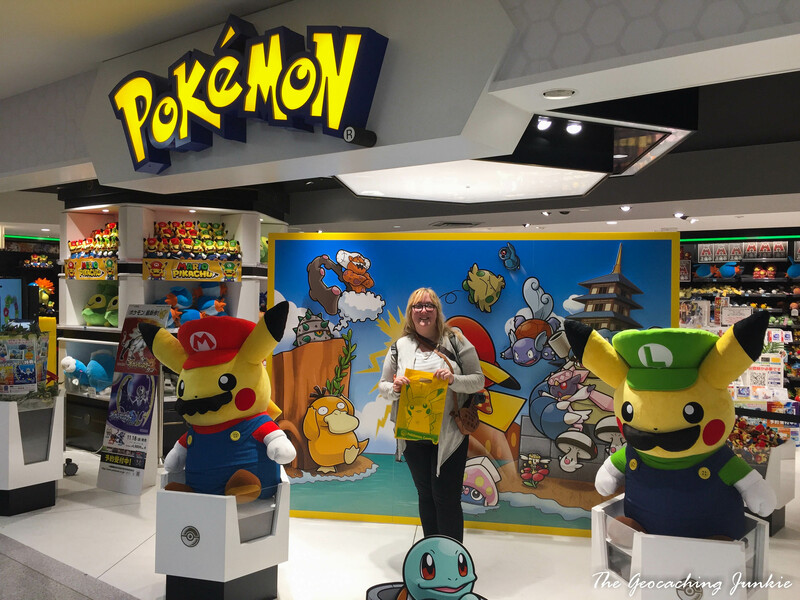 Our last stop of the evening was the Pokémon Centre in the Takashimaya Department Store. 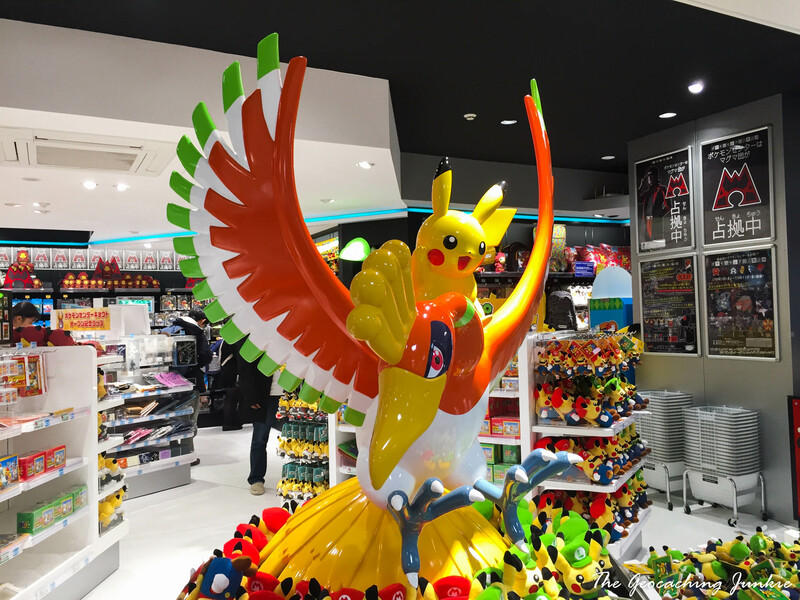 At present, Pokémon shops only exist in Japan, at three locations in the US and at a temporary store in Paris. Although it was small, the range of everything Pokémon related was pretty amazing and I picked up a gift for my nephew, as well as a cute Pikachu notebook for myself. Pokémon Go is huge in Japan, with Pokéstops absolutely everywhere and people of all ages playing everywhere you look. 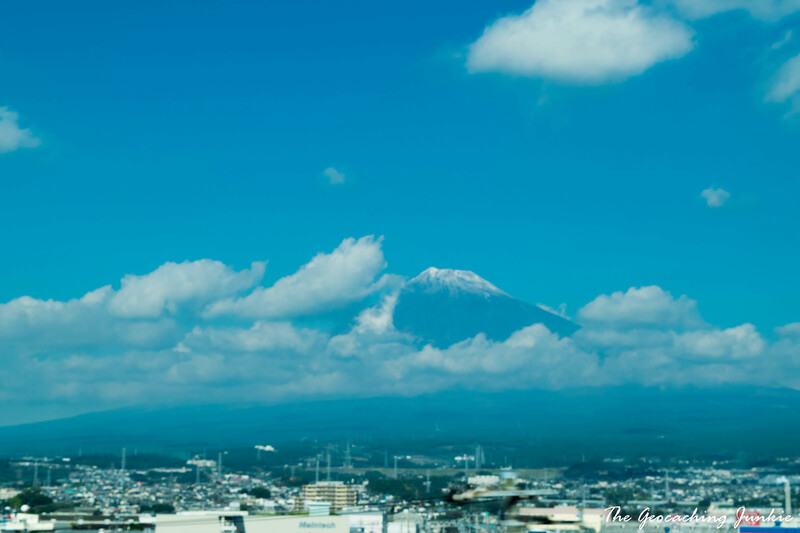 The next morning we headed back to Tokyo and this time, the sun was shining so we were able to get a glimpse of the iconic, snow-capped Mount Fuji peaking out from a blanket of cloud. 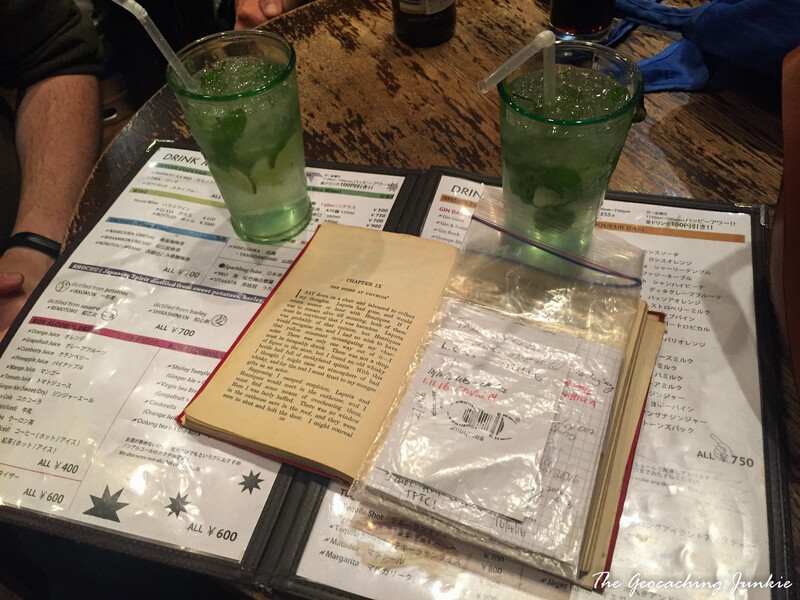 we like your travel diaries a lot! Doesn’t matter that it will probably take ages to get there by ourselves, but we enjoy your description of the places, your little adventures how you discovered the spots. In addition our compliments for your excellent pictures (and the general layout of your blog as well).